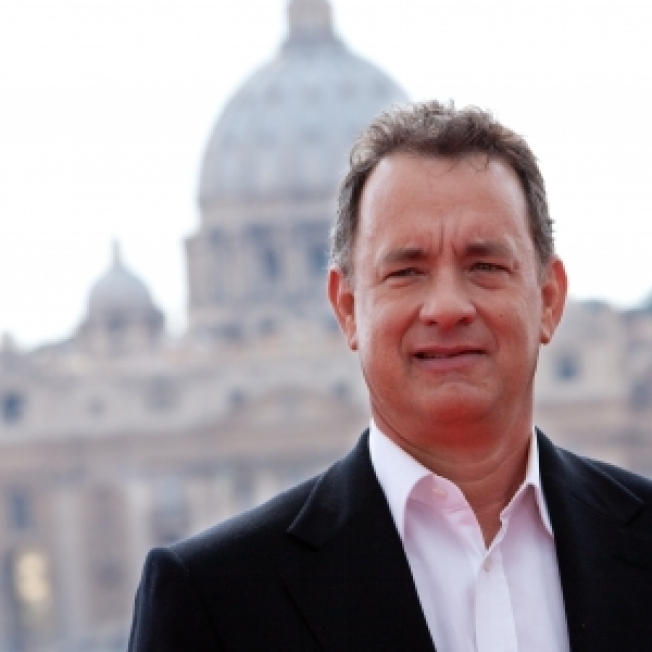 Tom Hanks returns to the big screen this weekend with "Angels & Demons," the follow up to big screen blockbuster "The Da Vinci Code." And while the movie amps up the action, mystery and adventure, one thing theaters goers won't find is any on-screen romantic trysts. "We really don't have time to make out or go to bed when Cardinals are being killed on the hour," Tom joked to Parade magazine. "We tried to work it into the screenplay… We were like, 'Isn't there a bigger car with a bigger backseat?' But we were stuck with an Alfa Romeo so we didn't have an opportunity to grab some smooching on the way to the Pantheon or the Piazza Del Poppolo." If a steamy scene had made its way into the final script, condoms would most likely not have been a factor for several reasons Tom said. "I know the Pope is opposed to the use of condoms," Tom noted. "All I can say is, I am a spiritual man and I've been happily married for 21 years. I don't even know what a condom is anymore." While the movie skips out on love scenes, its subject matter revolves around the Catholic Church. But Tom said that if you are concerned about being upset by his new film-- skip it. "If anyone feels that the film is going to be offensive to them, don't see it," the actor pleaded. "Stay away, please, please. I beg of you." He added that despite the controversy, the movie will not cause any major changes to the world as we know it. "The first movie had an equal amount of controversy, but nothing was destroyed. The world didn't come to an end, and people still went to church on Sundays," he noted. "I predict it will be the same after 'Angels and Demons' comes out. People will still go to church and life will go on." And it appears another sequel may go on as well, though Tom has a few ideas for the proposed installment. "I just keep saying 'Please, please. Can it take place in the Bahamas? Can the first scene be, 'Robert Langdon relaxes on a hammock underneath the swaying palm tree?'" he said.